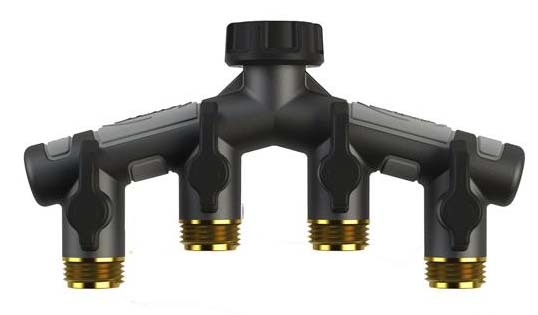 4 way hose wye to attach to your faucet, allowing you to add 4 hose connections, whether it for drip irrigation, fittings for drip irrigation, or maybe you need to use 4 hoses. Each outlet has an easy grip on/off valve. It has a brass swivel head with comfort grip to allow for easy installation. Construction is heavy duty with leak free ball valves for quality performance.